The principle objective of this report is to analysis Islami banking system and investment techniques on Islami Bank Bangladesh Limited. Other objectives of this reports are to conduct interest free banking systems according to Islamic Shariah and descrive investment through different modes permitted under Islamic Shariah. Here also focus how to avoid the production of harmful goods and services, to eliminate socio-economic in-justice, to establish economic equality, to eliminate economic exploitation, to avoid economic instability and to avoid evil, wrong and injurious practices from economic life. Bangladesh is one of the largest Muslim countries in the world. The people of this country are deeply committed to Islamic way of life as enshrined in the Holy Qur’an and the Sunnah. Naturally, it remains a deep cry in their hearts to fashion and design their economic lives in accordance with the precepts of Islam. The establishment of Islami Bank Bangladesh Limited on March 13, 1983, is the true reflection of this inner urge of its people, which started functioning with effect from March 30, 1983. This Bank is the first of its kind in Southeast Asia. It is committed to conduct all banking and investment activities on the basis of interest-free profit-loss sharing system. In doing so, it has unveiled a new horizon and ushered in a new silver lining of hope towards materializing a long cherished dream of the people of Bangladesh for doing their banking transactions in line with what is prescribed by Islam. 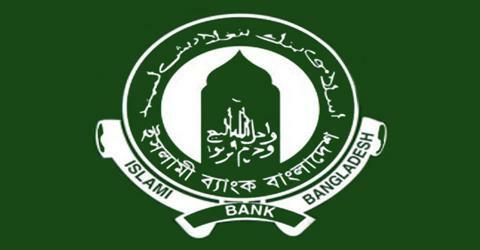 With the active co-operation and participation of Islamic Development Bank (IDB) and some other Islamic banks, financial institutions, government bodies and eminent personalities of the Middle East and the Gulf countries, Islami Bank Bangladesh Limited has by now earned the unique position of a leading private commercial bank in Bangladesh. It appears from the above definitions that Islamic banking is system of financial intermediation that avoids receipt and payment of interest in its transactions and conducts its operations in a way that it helps achieve the objectives of an Islamic economy. Alternatively, this is a banking system whose operation is based on Islamic principles of transactions of which profit and loss sharing (PLS) is a major feature, ensuring justice and equity in the economy. That is why Islamic banks are often known as PLS-banks. To conduct interest free banking systems according to Islamic Shariah. To make investment through different modes permitted under Islamic Shariah. To avoid evil, wrong and injurious practices from economic life. To cover the fulfillment of the basic needs of the people. To realize the full potential of the economy. To provide safety net for the weak, poor and distressed. To develop human resources for enhancing economic growth & quality of life. To establish a well-balanced economic system. Despite tremendous popular support spectacular success in terms of mobilization of deposit and distribution of profit Islamic banking in Bangladesh yet to achieve the desired level of success due to the absence of appropriate legal framework for carrying out Islamic Banking operations in the country. All the government- approved securities in Bangladesh are interest bearing, Besides, Islamic Money Market in Bangladesh is yet to develop. As a result the Islamic banks, which are committed to avoid interest, cannot invest the permissible part of their Statutory Liquidity Reserve and short Term Liquidity in those securities. Inspire of the present limitations, Islamic -banking system has tremendous potentiality and prospect in Bangladesh, Firstly, the successful launching and needs to an Islamic Money Market in the country. Secondly Islamic banks have brought together many depositors and entrepreneurs under their fold and coverage. These depositors and entrepreneurs so long avoided interest-based banking on grounds of religious injunctions. The gradual and successful globalization of Islamic banking coupled with growing awareness of the people about its financial and social benefits makes it clear that the next century is going to be the century of Islamic banking. Despite tremendous popular support spectacular success in terms of mobilization of deposit and distribution of profit Islamic banking in Bangladesh yet to achieve the desired level of success due to the absence of appropriate legal framework for carrying out Islamic Banking operations in the country. All the government- approved securities in Bangladesh are interest bearing, Besides, Islamic Money Market in Bangladesh is yet to develop. As a result the Islamic banks, which are committed to avoid interest, cannot invest the permissible part of their Statutory Liquidity Reserve and short Term Liquidity in those securities. Inspire of the present limitations, Islamic -banking system has tremendous potentiality and prospect in Bangladesh, Firstly, the successful launching and needs to an Islamic Money Market in the country. Secondly Islamic banks have brought together many depositors and entrepreneurs under their fold and coverage. These depositors and entrepreneurs so long avoided interest-based banking on grounds of religious injunctions. deposit is accepted in the AWCA under Al-wadeah principle of Islamic Shariah. The deposited money is invested along with other deposits by the Bank according to Islamic Shariah. Here, the customer does not have any share in the profit. The transaction can be made more than once during the banking hour. The account can only be opened with the introduction of any acceptable client/ current account holder of the Bank. In order to open Al-wadeah Current Account, a minimum amount of Tk.500/= is to be deposited and the minimum balance with minimum amount of Govt. tax is to be maintained in the account. The Bank reserves the authority to return cheque, if otherwise. Withdrawal may be made through the cheques supplied by the Bank. In that case all articles of Negotiable Instrument Act are applied. The customer has to count the pages of the cheque book at the time of receiving the same. The book should be maintained safely so that no cheque may be misused or stolen or destroyed. The Bank will not be responsible for any forgery if occurred by the stolen cheque (s). The account holder shall have to use the specimen signature put in the Bank while withdraw money and in case of other correspondence with the Bank. In order to change the specimen signature put earlier the operator shall have to apply in writing before well in time. deposited cheque(s) etc. is/are returned unpaid to the bank, charge/commission will be realised as per norms. The Bank records the instruction of ‘Stop Payment` with care. But the Bank will not be held responsible if any fraudulent withdrawal is/are made through stopped cheque (s). The Bank supplies statement of account every month. The bank has right to deduct any account to realise necessary expenditure/postal charge. Moreover, any tax imposed by the Govt. will be deducted from the account. The Bank preserve the right to close the account without showing any cause. In case of joint account, if any of the A/c. holders expired the operation in the account will be stopped just after getting report and balance in that account will be paid as per norms to the heirs of the deceased and the alive A/c. holder(s); if there is any outstanding investment liabilities, the alive account holder/heirs of the deceased is/are bound to adjust the same. The Bank consciously sums up the credit/debit of the account. If any amount is credited/debited through mistake, Bank can re-write the balance. The unused cheque(s) must be returned to the Bank at the time of closing of the account. The account holder(s) can select nominee’s) to receive the balance of the account in case of death of the account holder. a) Death Certificate regarding death of the account holder. officers of the Bank or the Chairman/Ward Commissioner of the Union Parishad/Municipality in support of the identification of the nominee’s). Attested Passport size photographs of the nominee’s). Islami Bank Bangladesh Limited, in keeping with its welfare-oriented ideals based on Shariah Principles, has developed a deposit pension scheme named “Mudaraba Special Savings (Pension) Scheme”, in order to mobilise and encourage the middle and lower middle class professional and service holders to save as per their capacity for their old age when they will normally retire from their active service life who otherwise do not like to keep and invest their savings and funds in interest bearing deposit pension schemes. Due to lack of or limited scope for savings and investment in non-interest bearing schemes, most of these individuals either consume their savings/funds or spend the same in unproductive expenditures. Thus a substantial amount of Savings/funds remain out of the production cycle. The savings/funds of these people can play a vital role in capital formation and as a source of invisible fund for generation of income and increase of wealth of the individuals and of the nation. The scheme developed by Islami Bank Bangladesh Ltd. has already been accepted cordially by the lower and middle income group of people and thus it is expected to have great prospect in mobilization of small savings and funds for deployment in income and employment generating activities and business. In view of the above the Bank has introduced “Mudaraba Special Savings (Pension) Scheme”. Accounts under this scheme may be opened for monthly deposits of Tk. 100/-, Tk. 200/-, Tk. 300/-, Tk. 400/-, Tk. 500/-, Tk. 1000/-, Tk. 1500/-, Tk. 2500/- and Tk. 5000/- only. The deposit will be received on Mudaraba Principle. Any bonafide citizen of Bangladesh of eighteen years or above with sound mind may open account in his name under this scheme by application in Bank’s printed application form designed for this purpose. The applicant shall have to be introduced by a bonafide account holder of the Branch where he intends to open account or any client of any Branch of IBBL or any respectable person known to the Bank and shall have to give two passport size photograph at the time of opening the account. This account can be opened in the name of minor by his/her father/mother/legal guardian giving necessary instruction for the operation of the account. Account may be transferred from one branch to another branch of the Bank at the written request of the account holder. Separate account number shall be allotted for each account. At the time of Opening of the account the client has to give his specimen signature in a separate card. Account may be also opened by thumb impression in case of illiterate person. In such a case the introducer has to submit a suitable declaration to the effect in a form prescribed for this purpose. No cheque book shall be issued against this account. Under this scheme the depositor has to deposit fixed installment at the rate of this choice from the options as mentioned above (i.e. Tk. 100, Tk. 200, Tk. 300, Tk. 400, Tk. 500, Tk. 1000, Tk. 1500, Tk. 2500 and Tk. 5000) each month regularly. Installment must be deposited within 6th to 25th of each month. If the 25th of any month is a Govt. holiday then installment may be deposited on following working day. Installment may be also deposited by cheque. In such case proceeds against the cheque must be collected within the 10th day of the month. If the cheque is dishonored then the cheque shall be returned to the depositor observing due formalities and the installment shall be treated as overdue. Advance Installments may be allowed to be deposited with proper arrangement between the Bank and the client in this regard. The depositor may issue written standing instruction for monthly transfer of installment amount from any other account maintained with the same branch for credit to his MSS account. In that case the client must ensure sufficient credit balance in his/her Savings or Current account and he/she has to pay a charge of Tk. 5 only for each such transfer. The Mudaraba Special Savings (Pension) Scheme account holders shall share income derived from investment i.e., income from the use of the Mudaraba funds in economic activities permitted by Islamic Shariah. This includes profit, dividend, capital gains, rent and any other income derived from investment. Benefits of full weightage with yearly cumulating of profit shall become payable if withdrawn on maturity. No profit shall accrue if the account is closed within one year. In cases of premature withdrawal after one year profit shall be payable at the rate applicable for Mudaraba Savings Deposit. In case of 10 year term MSS Account encashed after 5 years but before 10 years, profit shall be payable at the rate applicable to 5 year term MSS Account for 5 (five) years and at the rate of Mudaraba Savings deposit for the subsequent period. The pension is payable at the maturity of the term for which the account is opened either in lump sum or on monthly basis at a fixed amount as per written option of the depositor. The depositor may change his/her option in writing during the currency of the term. In case of option for receiving monthly pension the depositor shall get profit at the rate payable to Mudaraba Savings Deposits after the maturity of the account and pension will be paid until such time there remains sufficient balance in the account. Pension amount shall be paid to the account holder as per contract and in case of his/her death to his/her nominee as per instruction given. In case of payments to the nominee/ nominees rules described below shall be applicable. The lump sum amount of pension payable at the end of a particular term may vary due to variable rate of profit given on the yearly deposit. This will mean that the pension amount may ultimately vary and may be more-or-less than the figure mentioned in the table. If the actual amount payable becomes more than the amount shown in the table, the account holder or beneficiary will get a higher amount and contrarily if the actual amount payable ultimately becomes less than the amount shown in the table, the beneficiary will get less amount than what is shown in the table. The depositor may nominate one or more persons as his nominee of the account. In case of more than one nominee, he should fix their respective share in the nomination. Minors also may be named as nominee. In such a case he may also give written instruction as to who is to receive the amount in the event of his death before the attaining of maturity of the nominee (s). Otherwise payment will be made to the legal guardian approved by the court. The depositor may at any time nominate a new nominee canceling the previous nominee in writing. In the event of the death of the nominee during the lifetime of the depositor and before the withdrawal of the balance of the account, the nomination shall be treated cancelled. The nominee (s) shall be entitled to receive the money of the account according to apportionment only after the death of the depositor. In such case there shall be no need for Succession Certificate and the matter shall be settled at the branch level. Application of the nominee /nominees/nominated guardian. Death Certificate regarding the deceased depositor. Identification Certificate in favor of the nominee, nominees by two valued account holders or two officers of the Bank or from the Chairman or Commissioner of local Municipality. Duly attested Passport – size photograph of the nominee/nominees or nominated guardian. Indemnity bond jointly executed by the nominee/nominees/nominated guardian along with two valued clients of the branch. Where a monthly installment falls in arrear within one year of the opening of the account and the depositor deposits the same within the 10th of the following month with a written application showing valid reasons for such default, the account may be revalidated for operation. If after one year of opening of the account 3(three) consecutive installments are not deposited, the account may be revalidated subject to deposit of all arrear installments within 10th day of the 4th month with a written application showing valid reasons for such default. The client shall get 5 (five) chances for 5 years accounts and 10 (ten) chances for 10 years accounts to revalidate his account as per procedures mentioned at sub-Para nos. 9(a) and 9(b). In case of automatically closed accounts, the depositor shall get profit applicable as per terms described at Para no. 10 below. The balance of automatically closed accounts shall be paid to the client on serving notice to him after three months from such closure through pay order or transfer to his Savings/Current Account. If no response to notice is received within a reasonable time, the Pay Order shall be sent to the account holder’s recorded address by registered post and the postal expenses shall be recovered from the balance of the account. If the account is closed within 1(one) year of the opening, the client shall receive only the principal amount of deposit. In case of 5(five) year term account if the account is closed after 1(one) year but before maturity of the term the depositor shall be entitled to the principal amount along with profit at the rate applicable for Mudaraba Savings Deposit. with profit at the rate applicable to 5(five) year term MSS account for 5(five) years and at the rate of Mudaraba Savings deposit for the subsequent period. National Board of Revenue (NBR) may be approached for exemption of excise duty and tax on the profits earned in the account and to treat the deposit under the scheme as investment allowance as provided under income tax rules since similar schemes of NCB’s enjoy such exemptions. devoted Muslims from Bangladesh perform holy Hajj every year. Financial solvency and physical fitness are the pre-requisites of performing Hajj. The majority of the people, however, reach the fag end of their life in arranging the required amount of money for Hajj. Islami Bank Bangladesh Limited has, therefore, introduced “Hajj Savings Scheme” so that persons eager to perform holy Hajj may build-up savings through ‘Mudaraba Hajj Savings Account’. Mudaraba Hajj Savings Account can be opened in the name of the individual only. Deposits in this account are received on the basis of Mudaraba principle of Islamic Shariah. No photography is required to open this account. The Bank issues pass-book against this account. After the deposit of each instalment, the depositor must ensure that such deposit is recorded in the pass-book. If the pass-book is lost, the Bank shall charge Taka 10/- for issuance of new pass-book. The account holder must immediately communicate to the Bank of any change of the address. Persons eager to perform Hajj within the period of one to twenty five years may build-up savings to perform Hajj by depositing monthly instalment. The under mentioned chart indicates the year-wise monthly instalments of persons intend to perform Hajj in 2001, 2002 and 2003. The monthly instalment shall be applicable on the basis of opening year of the account. Savings play an important role in capital formation, income-generation and creation of employment opportunities and contribute towards the increase in wealth of the individual and nation through profitable investment. The people generally try to save a portion of their income with a view to protecting themselves from future financial hardship and also to enhance their earnings for their own benefit and the benefit of their family and the nation as a whole. Bangladeshi wage earners living abroad and the retired service holders desire to invest their earnings and retirement benefits in safe and profitable investment schemes. Many a people, however, cannot deploy their fund in business for various reasons. The people of Bangladesh are deeply religious and committed to Islamic way of life and determined to conduct their economic activities in accordance with the tenets of Islamic Shariah. Naturally they want to avoid interest in transaction and business which is forbidden by Islam. Islam encourages savings, which is the prerequisite for any sustainable economic development. The saying of Holy Prophet (PBUH) is that poverty leads to unbelief and therefore, people have been encouraged to save a portion of their earnings to protect themselves from future financial setback. Islam emphasises in the cycling of surplus capital by investing such funds in productive economic activities that will pave the way for employment, development and progress. The people of Bangladesh reluctantly invest in interest bearing schemes. The religious Muslims, however, avoid such investments and the idle funds are mostly being consumed to meet the avoidable family demands. Thus the major portion of savings remain out of the production process. Islami Bank Bangladesh Limited, has therefore, introduced the savings deposit accounts viz. Mudaraba Savings Account, Mudaraba Term Deposit Account, Mudaraba Hajj Savings Account, Mudaraba Special Notice Account and Mudaraba Special Savings (Pension) Scheme as per Islamic Shariah. Mudarabah Special Savings (Pension) Account has also been introduced recently. Islami Bank Bangladesh Limited, being encouraged by the success of the Mudaraba deposit accounts has, therefore, introduced yet another savings scheme namely “Mudaraba Savings Bond Scheme”. To offer investment opportunity to the people and institutions who do not like to keep their savings and funds in interest bearing deposit accounts or invest in interest bearing schemes. To facilitate deposit and investment of funds of the wage earners and retirement benefits of the service holders. To encourage savings by offering a safe and profitable investment outlet through sharing of a portion of the profit out of investment of their deposited money as per Islamic Shariah. To extend the Bank’s Schemes for mobilisation of savings, generation of income, creation of employment and enhancement of wealth of the individual and the nation through profitable investment of these savings as per Islamic Shariah. To encourage participation of the people in Islamic banking system and development of the economy in line with the principle of Islamic Shariah. Person(s) aged 18 years and above shall be eligible to purchase Mudaraba Savings Bond(s) in single name or in joint names. Educational Institutions, Clubs, Associations and other non-trading and non-profit Socio-economic Institutions shall also be eligible to purchase Bond(s) in the name of the Institutions. Guardian(s) shall be allowed to purchase Bond(s) jointly with a minor mentioning the age of the minor. Payment against such Bond(s) shall be made on the basis of joint signature after the minor attains majority. Father/Mother/Legal Guardian shall be eligible to purchase these Bonds on behalf of one or two minors mentioning the name and age of the minor(s) and also instructions regarding payment encashment. Mudaraba Savings Bond shall be available in Tk. 1,000.00, Tk. 5,000.00, Tk. 10,000.00, Tk. 25,000.00, Tk. 50,000.00, Tk. 1,00,000.00, Tk. 5,00,000.00 and Tk. 10,00,000.00 denominations. Purchase ceiling of Mudaraba Savings Bond is minimum Tk. 1,000.00. Any amount of Bonds can be purchased subject to availability. Eligible purchaser(s) shall be entitled to purchase Mudaraba Savings Bonds in single or in joint names or in the name of Institutions from the Branch of the Bank. The purchaser(s) shall have to apply in prescribed form of the Bank and fulfill the terms and conditions in this respect. Islami Bank Bangladesh Limited has introduced a new deposit product titled ‘Mudaraba Foreign Currency Deposit Scheme (Savings)’ under Mudaraba principle and endeavouring to invest the foreign currency funds in profitable way through its Foreign Correspondent Banks under Shariah Principle so as to enable the Bank to pay profit to its FC/PFC depositors, who will intend to open/maintain Mudaraba Foreign Currency Deposit (MFCD) Account particularly in US Dollar. This Scheme offers investment opportunities to wage earners and other private Foreign Currency Account holders who do not like to keep their funds in interest bearing deposit accounts or invest in interest bearing schemes. To encourage savings in Foreign Currency by offering a safe and profitable opportunity to the savers/investors by way of sharing a portion of the profit out of the investment of their funds as per principles of Shariah and to extend the Banks Deposit Scheme for mobilization of remittance of Bangladeshi expatriates to increase the opportunity for their income generation and increase in the wealth of individuals and of the nation through profitable investment as per Shariah principles are the special features of the Scheme. To offer investment opportunity to the Wage Earners and other private Foreign Currency account holders who do not like to keep their funds in interest bearing deposit accounts or invest in interest bearing schemes. To encourage savings in Foreign Currency by offering a safe and profitable opportunity to the savers/investors by way of sharing a portion of the profit out of the investment of their funds as per principles of Shariah. To extend the Bank’s Deposit Scheme for mobilization of remittance of Bangladeshi expatriates to increase the opportunity for their income generation and increase in the wealth of individual and of the nation through profitable investment as per Islamic Shariah Principles. Bangladeshi nationals residing, working and earning abroad. Foreign nationals residing in Bangladesh and also Foreign Firms registered abroad and operating in Bangladesh. Foreign missions and their expatriate employees. Account may be opened in US Dollar, Pound Sterling or other eligible currencies at the option of the account-holder (However, at the moment Deposit in such account will be accepted only in US. Dollar). Types of account will be “Mudaraba Foreign Currency Deposit Account”. In case the balance falls below USD=1000/-, no profit will be paid. Withdrawal is allowable twice in a month and each withdrawal must not exceed ¼ of the credit balance. Withdrawal exceeding the said limit will require 7 days notice. Balance will carry profit only if it remains for one month or above. Profit will be on average monthly balance. Islami Bank Bangladesh Limited will try to invest such funds profitably in Foreign Investment as per Islami Shariah through their Foreign Correspondent Banks. Minimum 65% of the gross investment income derived from Mudaraba Foreign Currency Deposit (MFCD) funds, shall be distributed to this account-holders on half yearly basis. If there will be no available opportunity for Foreign Investment as per Shariah, Profit will not be given to the account holders. MFCD Account should be maintained with under-mentioned A/D branches of the Bank. Related Account opening form duly filled in alongwith Specimen Signature Card and signed by the account-holder. In case of nomination, Signature of the nominee in the account opening form and Signature Card be attested by the account-holder. Photocopy of passport (upto VISA pages). Nominee’s Photographs 2 copies (if there be any) duly attested by the account holder. Bai-Muajjal may be defined as a contract between a buyer and a seller under which the seller sells certain specific goods (permissible under Islamic Shariah and the Law of the country), to the buyer at an agreed fixed price payable at a certain fixed future date in lump-sum or within a fixed period by fixed installments. The seller may also sell the goods purchased by him as per order and specification of the buyer. The terms ” Bai ” and ” Muajjal ” have been derived from Arabic words ﻊﻴﺒ and ﻝﺟﺍ . The word ﻊﻴﺒ means purchase and sale and the word ﻝﺟﺍ means a fixed time or a fixed period. ” Bai-Muajjal ” means sale for which payment is made at a future fixed date or within a fixed period. In short, it is a sale on Credit. Bai-Muajjal may be defined as a contract between a Buyer and a Seller under which the Seller sells certain specific goods (permissible under Shariah and Law of the Country), to the Buyer at an agreed fixed price payable at a certain fixed future date in lump sum or within a fixed period by fixed installments. The seller may also sell the goods purchased by him as per order and specification of the Buyer. In this Bank, Bai-Muajjal is treated as a contract between the Bank and the Client under which the Bank sells to the Client certain specified goods, purchased as per order and specification of the Client at an agreed price payable within a fixed future date in lump sum or by fixed installments. Thus it is a Credit sale of goods by which ownership of the goods is transferred by the Bank to the Client but the payment of sale price by the Client is deferred for a fixed period. It may be noted here that in case of Bai-Muajjal and Bai-Murabaha, the Islamic Bank is a financier to the Client not in the sense that the Bank finances the purchase of goods by the Client, rather it is a financier by deferring the receipt of the sale price of goods, it sells to the Client. If the Bank does not purchase the goods or does not make any purchase agreement with seller, but only makes payment of any goods directly purchased and received by the Client from the seller under Bai-Muajjal / Bai-Murabaha Agreement, that will be a remittance/payment of the amount on behalf of the Client, which shall be nothing but a loan to the Client and any profit on this amount shall be nothing but Interest. Therefore, purchase of goods by the Bank should be for and on behalf of the Bank and the payment of price of goods by the Bank must be made for and on behalf of the Bank. If in any way the payment of price of goods is turned into a payment for and on behalf of the Client or it is paid to the Client any profit on it will be Riba. It is permissible for the Client to offer an order to purchase by the Bank particular goods deciding its specification and committing himself to buy the same from the Bank on Bai-Muajjal i.e. deferred payment sale at fixed price. It is permissible to make the promise binding upon the Client to purchase from the Bank, that is, he is to either satisfy the promise or to indemnify the damages caused by breaking the promise without excuse. It is permissible to take cash / collateral security to Guarantee the implementation of the promise or to indemnify the damages. It is also permissible to document the debt resulting from Bai-Muajjal by a Guarantor, or a mortgage. or both like any other debt. Mortgage / Guarantee / Cash security may be obtained prior to the signing of the Agreement or at the time of signing the Agreement. Stock and availability of goods is a basic condition for signing a Bai-Muajjal Agreement, Therefore, the Bank must purchase the goods as per specification of the Client to acquire ownership of the same before signing the Bai-Muajjal Agreement with the Client. After purchase of goods the Bank must bear the risk of goods until those are actually delivered to the Client. The Bank must deliver the specified Goods to the Client on specified date and at specified place of delivery as per Contract. The Bank may sell the goods at a higher price than the purchase price to earn profit. The Bank may sell the goods at one agreed price which will include both the cost price and the profit. Unlike Bai-Murabaha, the Bank may not disclose the cost price and the profit mark-up separately to the Client. Bai-Murabaha may be defined as a contract between a buyer and a seller under which the seller sells certain specific goods (permissible under Islamic Shariah and the Law of the land), to the buyer at a cost plus agreed profit payable in cash or on any fixed future date in lump-sum or by installments. The profit marked-up may be fixed in lump-sum or in percentage of the cost price of the goods. The terms “Bai-Murabaha” have been derived from Arabic words ﺢﻳﺑ and ﺢﺑﺭ (Bai and Ribhun). The word ﺢﻳﺑ means purchase and sale and the word ﺢﺑﺭ means an agreed upon profit. ﺢﺑﺍﺭﻣﺍ ﺢﻳﺑ ” Bai-Murabaha” means sale on agreed upon profit. Bai-Murabaha may be defined as a contract between a Buyer and a Seller under which the Seller sells certain specific goods permissible under Islamic Shariah and the Law of the land to the Buyer at a cost plus agreed profit payable in cash or on any fixed future date in lump sum or by installments. The profit marked-up may be fixed in lump sum or in percentage of the cost price of the goods. In respect of dealing parties Bai-Murabaha may be of two types. If there are only two parties, the seller and the buyer, where the seller as an ordinary trader purchases the goods from the market without depending on any order and promise to buy the same from him and sells those to a buyer for cost plus profit, then the sale is called Ordinary Bai-Murabaha. If there are three parties, the buyer, the seller and the Bank as an intermediary trader between the buyer and the seller, where the Bank upon receipt of order from the buyer with specification and a prior outstanding promise to buy the goods from the Bank, purchases the ordered goods and sells those to the ordering buyer at a cost plus agreed profit, the sale is called “Bai-Murabaha on Order or Promise”, generally known as Murabaha. This Murabaha upon order and promise is generally used by the Islami Banks, which undertake the purchase of commodities according to the specification requested by the Clients and sale on Bai-Murabaha to the one who ordered for the goods and promised to buy those for its cost price plus a marked-up profit agreed upon previously by the two parties, the Bank and the Client. In this Bank, Bai-Murabaha is treated as a contract between the Bank and the Client under which the Bank purchases the specified goods as per order and specification of the Client and sells those to the ordering Client at a cost plus agreed upon profit payable within a fixed future date in lump sum or by fixed instalments. It is permissible for the Client to offer an order to purchase by the Bank particular goods deciding its specification and committing himself to buy the same from the Bank on Murabaha, i.e. cost plus agreed upon profit. It is permissible to take cash/collateral security to guarantee the implementation of the promise or to indemnify the damages. It is also permissible to document the debt resulting from Bai-Murabaha by a Guarantor, or a mortgage, or both like any other debt. Mortgage/ Guarantee/ Cash Security may be obtained prior to the signing of the Agreement or at the time of signing the Agreement. Stock and availability of goods is a basic condition for signing a Bai-Murabaha Agreement. Therefore, the Bank must purchase the goods as per specification of the Client to acquire ownership of the same before signing the Bai-Murabaha agreement with the Client. After purchase of goods the Bank must bear the risk of goods until those are actually sold and delivered to the Client, i.e., after purchase of the goods by the Bank and before selling of those on Bai-Murabaha to the Client buyer, the Bank shall bear the consequences of any damages or defects, unless there is an agreement with the Client releasing the Bank of the defects, that means, if the goods are damaged, Bank is liable, if the goods are defective, (a defect that is not included in the release) the Bank bears the responsibility. The Bank shall sell the goods at a higher price (Cost + Profit) to earn profit. The cost of goods sold and profit mark-up therewith shall separately and clearly be mentioned in the Bai-Murabaha Agreement. The profit mark-up may be mentioned in lump sum or in percentage of the purchase/cost price of the goods. But, under no circumstances, the percentage of the profit shall have any relation with time or expressed in relation with time, such as per month, per annum etc. It is permissible for the Bank to authorize any third party to buy and receive the goods on Bank’s behalf. The authorization must be in a separate contract. Under this mode Bank may supply implements/ equipment/goods on rental basis. The ownership of the implements/equipment/goods will be with the Bank and the client jointly and the portion of the client will remain to the Bank as mortgage until the closure of the investment account, but the client will be authorized to possess the equipment for certain period. The client, after completion of the installments, will be the owner of the implements/ equipment/goods. Shirkat means partnership. Shirkatul Melk means share in ownership. When two or more persons supply equity, purchase an asset, own the same jointly, and share the benefit as per agreement and bear the loss in proportion to their respective equity, the contract is called Shirkatul Melk contract. The term Ijarah has been derived from the Arabic works (Air) and (Ujrat) which means consideration, return, wages or rent. This is really the exchange value or consideration, return, wages, rent of service of an asset. Ijarah has been defined as a contract between two parties, the Hire and Hirer where the Hirer enjoys or reaps a specific service or benefit against a specified consideration or rent from the asset owned by the Hire. It is a hire agreement under which a certain asset is hired out by the Hire to a Hirer against fixed rent or rentals for a specified period. This is a sale contract between a buyer and a seller under which the ownership of certain goods or asset is transferred by seller to the buyer against agreed upon price paid / to be paid by the buyer. Thus, in Hire Purchase under Shirkatul Melk mode both the Bank and the Client supply equity in equal or unequal proportion for purchase of an asset like land, building, machinery, transports etc. Purchase the asset with that equity money, own the same jointly, share the benefit as per agreement and bear the loss in proportion to their respective equity. The share, part or portion of the asset owned by the Bank is hired out to the Client partner for a fixed rent per unit of time for a fixed period. Lastly the Bank sells and transfers the ownership of it’s share / part / portion to the Client against payment of price fixed for that part either gradually part by part or in lump sum within the hire period or after the expiry of the hire agreement. Sale and /or transfer of ownership to the other partner Hirer. It is a form of partnership where one party provides the funds while the other provides the expertise and management. The first party is called the Sahib-Al-Maal and the latter is referred to as the Mudarib. Any profit accrued are shared between the two parties on a pre-agreed basis, while capital loss is exclusively borne by the partner providing the capital. Under this mode Bank will execute purchase contract with the client and make payment against purchase of product, which is under process of production. Bai-Salam contract will be executed after making any investment showing price, quality, quantity, time, place and mode of delivery. The profit is to be negotiated. In this mode the payment as the price of the goods is made at the time of Agreement and the delivery of the goods is deferred. Mirpur Silk Weavers Investment Schemes. IBBL can diffuse its scope of investment through focusing Shariah concept regarding investments among the Bank officers; employer and the Clients by strong training, workshops and Clients get – together. The authority of IBBL should exert pressure on Government bodies to run proper and sufficient application of Islamic banking laws in Bangladesh. Practice amount of doubtful income declined substantially during the year as compared to the past few years, indicating more carefulness of the Management in complying with Shariah. As a result, idle money will be invested to increase potential profit of this Bank. Inclusion of more subjects based on the Quran and Sunnah in the Training courses of the Islami Bank Training & Research Academy in order to develop human resources having morally. This Bank should arrange a wide varieties of regular programs like “ISLAMIC JALSA” “OAAZ MAHFIL” “SEMINAR” “MOSQUE -BASED DISCUSSION” etc. about Islamic Banking Function countrywide to remove the negative impression about IBBL. Arrangement of monthly /quarterly training courses /workshops for the clients selected by the Branches in order to promote Investment clients of the desired level. To fulfill the vision of “mass banking” this Bank should grants investment portfolio to new entrepreneurs /new businessmen new companies etc. To gain success in the programs like “Poverty Alleviation and “Self Reliant” especially in rural areas, this bank should provides investment facilities on the basis of individual. IBBL should give more emphasize on their marketing effort and try to increase their sales force. IBBL should appoint a Customer Relation Officer at branch level. To avoid bad debts IBBL should give more emphasize on Lending Risk Analysis (LRA) and try to conduct sensitivity analysis. The shariah council should give emphasis on introduction of Mudaraba and Musharaka modes of investment under various investment schemes including Rural Development Scheme. Most of the people in our country have a bad impression about IBBL’s operations regarding indirect generation of interest, which means no difference between investments of IBBL loan/credit/advance of conventional banks for this reason. They are not much interested to investment with IBBL because majority of our people have no proper knowledge about the activities of Islami banking as well as its investment mechanisms. IBBL through its steady progress and continuous success has, by how, earned the reputation of being one of the leading private sector banks of the country. The bank has shown steady progress in this important sector. Main items of import are machinery, garments, fabrics and accessories, ships for scrapping, rice, pharmaceuticals etc. where as main items of exports are jute products, readymade garments, leather, frozen fish, fertilizer etc. IBBL’s capital adequacy, deposits, reserves, earning per share, export, import and remittances are increasing day by day. So, no doubt IBBL is a growing profitable financial institution. The future of Islamic banks hinges, by and large, on their ability to find a viable alternative to interest for financing all types of loans. They should recognize that their success in abolishing interest has been only partial and they have yet to go a long way in their search for a satisfactory alternative to interest. Simultaneously, Islamic banks need to improve their managerial capabilities by training their personnel in project appraisal, monitoring, evaluation and performance auditing. Moreover, the future of Islamic banks also depends on developing and putting into practice such accounting standards which provide timely and reliable information of the type that the Islamic banks would require for profit-sharing, rent-sharing or for cost-plus financing. These standards are yet to be developed. The Islamic banks would have to work hard to pursue their clients to accept these standards so that a reliable information base is established.